Thank you for visiting our website. Our goal is to help you better understand Long-Term Care and Long-Term Care Insurance and how Long-Term Care Insurance can help you protect your hard-earned assets. 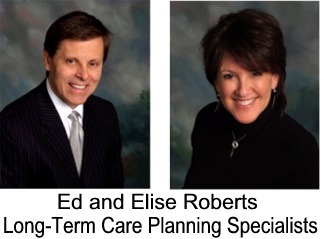 Ed is Dave Ramsey's Endorsed Local Provider for Long Term Care for Indiana, Illinois, Michigan and knows the importance of making a wise financial plan for the future. I hope your visit to our website will help you get a better understanding of planning for Long Term Care. Having access to all options we are able to provide options for everyone, even those who have been previously declined.